Top Animation News: Mickey Mouse, Lion King, Mary Poppins and more! Top Animation News is a weekly column that rounds up the biggest, best and breaking stories from the world of animation. This edition covers November 16 to 23, 2018. Disney’s most iconic character, Mickey Mouse, turned 90 this year. As part of the ongoing celebrations, a special edition of the Mickey Mouse shorts, “Surprise!”, debuted last Sunday. 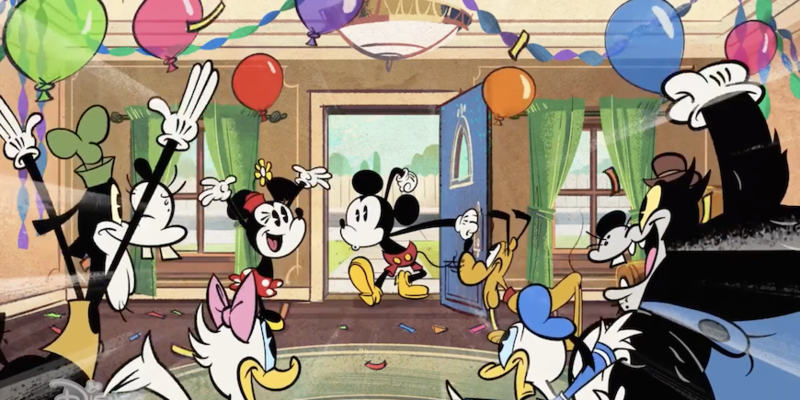 Produced in Toon Boom Storyboard Pro and Toon Boom Harmony, the latest episode sees Mickey asking his friends to skip his usual (shocking) surprise party. Watch the Mickey Mouse “Surprise!” short above and read the full story on “Animation Magazine”. Classic Disney 2D animated film The Lion King is being rebooted as a live-action-CGI hybrid and it has gotten its first teaser. Directed by Jon Favreau (The Jungle Book), the remake will star Donald Glover as Simba, Chiwetel Ejiofor as Scar, Seth Rogen as Pumbaa and Beyoncé as Nala, with James Earl Jones returning as Mufasa — the same role he voiced in the 1994 original. Similar to 2016’s The Jungle Book, The Lion King reboot has replaced traditional animation with CGI motion capture. View The Lion King teaser trailer above and read more on “The Guardian”. Mary Poppins Returns, another Disney classic being revisited with contemporary technology, will see the eponymous nanny back for more magical and musical adventures — spread across live-action and 2D animated scenes. “When you see the film, you are in this 2D hand-painted world but in a three-dimensional way. It’s why our post production has been longer than normal. It is live action and animation so there’s this wonderful interaction between the two, and I believe everyone feels it was worth it,” says director Rob Marshall. Explore how Mary Poppins Returns used 2D animation to bring the magic to life on “Nerdist”. It’s no secret that streaming platforms like Netflix and Amazon Prime Video have created a production boom in the animation industry — and spending is rapidly increasing. Now, there are figures to quantify it. Venture capital firm Loup Ventures estimates Netflix will spend $1.1 billion, 11 percent of its original content budget, on animation this year. It also projects Amazon will spend $300 million on toons in 2018, or 10 percent of its overall budget. Loup Ventures estimates those figures will hit $5 billion for Netflix and $1.86 billion for Amazon Prime Video by 2022. Stream all the industry stats on the “The Los Angeles Times”. Members of SAG-AFTRA have approved a new deal covering televised animated work, with 95 percent in support of the three-year agreement. The union was aiming to secure scale wages and residuals for performers who work in the fast-growing animated streaming segment. The new master contract includes wage increases and benefit contribution rate improvements on par with live-action negotiation gains, and will continue through June 30, 2020. Dive into the SAG-AFTRA deal on “Variety”. The 23rd annual Asian Television Awards, the continent’s equivalent of the Emmys, announced its nominees — with animation projects coming from seven countries: China, India, Indonesia, Japan, Singapore, South Korea and Australia. This is proof of the industry’s growth in Asia and increasing globalization. 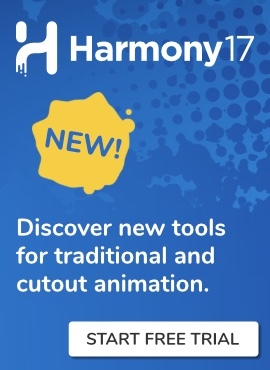 The prizes will be presented on January 11 and 12 in Kuching, Malaysia, with the cartoon categories including Best 2D Animated Program (including nominee Guess How Much I Love You, produced in Toon Boom animation software), Best 3D Animated Program, Best Children’s Program and Best Preschool Program. See the full list of 2019 Asian Television Award animation nominees on “Cartoon Brew”. American network Fox has announced a half-hour animated comedy, Buffalo Wings, from writing trio Hugh Davidson, Rachel Ramras and Larry Dorf (TV Land’s Nobodies). It will tell the story of two Canadian geese brothers who do not follow their flock south and end up stranded as immigrant refugees in Buffalo, New York. Fox recently announced two other animated comedies for the 2019-20 season, Bless the Harts and Duncanville, joining a well-stocked toon roster that already includes The Simpsons, Family Guy and Bob’s Burgers. Get the full Buffalo Wings preview on “The Hollywood Reporter”. Atomic Cartoons president Jennifer Twiner McCarron was recently announced as the CEO of parent company Thunderbird Films. During her tenure, the Vancouver-based animation studio has grown from around 20 employees to over 450, with an office in Los Angeles and another launching soon in Ottawa. McCarron’s meteoric ascent in the industry started when she was hired as a production assistant at Mainframe Entertainment. “I really felt like I just found my tribe,” she says. Explore Jennifer Twiner McCarron’s animation career further in “The Globe and Mail”. Having just launched the second season of Castlevania on Netflix, showrunner and executive producer Adi Shankar never imagined the animated series would be such a hit. Heavily influenced by Japanese anime, the gory toon was designed to subvert Western notions that animated content is either just for kids or comedy. “Personally, I’m on a crusade to make animation viewed on the same level as serious dramatic entertainment,” says Shankar. Read the full interview with Castlevania’s Adi Shankar on “Forbes”. Netflix’s upcoming animated comedy Hoops has two female showrunners: Jeny Batten and M. Dickson (both former Disenchantment co-producers). The streaming platform has been making efforts to empower women in animation, having signed Shion Takeuchi in its first female overall toon deal earlier this year. Hoops is an upcoming 10-episode adult comedy following a foul-mouthed high school basketball coach who thinks reforming his terrible team will help him reach the big leagues. Catch up on all the Hoops details on “Deadline”.